The realization that government has spent more than Shs 40bn to buy cars for President Museveni, lawmakers, speakers of parliament and the Prime Minister has rubbed Ugandans the wrong way, at least if reactions on social media are anything to go by. 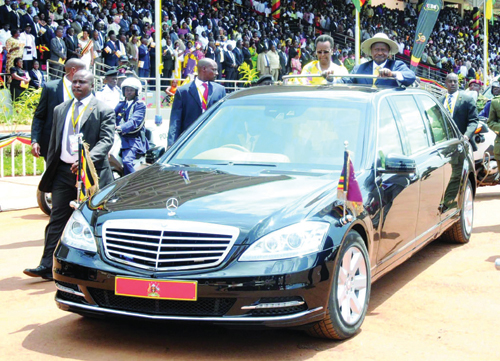 The debate about the profligate expenditure of the state on cars was thrust back into the public domain after Museveni unveiled a new Mercedes Benz S600 Pullman Guard during the independence golden jubilee celebrations at Kololo Independence grounds, Tuesday. The limousine is estimated to cost between $300,000 to $1.4m. There are various estimates about what the state paid to secure Museveni the car that was individually tailored in the German city of Stuttgart, with some reports putting it at an eye-popping Shs 2bn. This comes after government dipped into the public purse to buy cars for each of the 385 lawmakers at Shs 103m apiece (collating a grand total of Shs 39bn). The Speaker of the House and her deputy also were furnished with sleek cars that cost Shs 860m apiece. Observers find it ironical that whereas the Finance ministry has in the last three financial years failed to secure funds to implement the student loan scheme and bridge the funding gap in the health and education sectors, it has managed to find money to buy cars for the government officials. “This is being insensitive to the nationals who are the taxpayers,” said Masaka municipality MP Mathias Mpuuga. When contacted yesterday, the President’s Press Secretary, Tamale Mirundi, retorted at people criticizing Museveni for adding to his fleet of cars. “He is not like Jesus who didn’t need cars to travel. The President needs cars to travel and like any other person, his cars get old and new ones are bought,” Mirundi dismissively said. According to the National Development Plan (NDP), human capital development is one of the interventions identified to unlock the key binding constraints to economic transformation of the country. But in order to achieve the objectives of the NDP, government must develop and consistently implement a human capital development strategy aimed at equipping the labour force with relevant skills. Among the interventions outlined by the Finance ministry are education, health and water sectors. Government, though, has opted to concentrate on consumptive items like cars. “This is appalling and I don’t know what has happened to African nations. Why should you have to spend all that much on waste at the expense of priority sectors like agriculture, education, health and infrastructure? We need to change if we are to transform,” said Amos Lugolobi (Ntenjeru South), a member of the Parliament committee on Budget. Recently, Parliament was embroiled in squabbles with the executive over the latter’s failure to find 39.2bn to fund the recruitment and remuneration of health workers. Lugolobi finds it in bad taste that government can shun the health sector and concentrate on consumptive items. 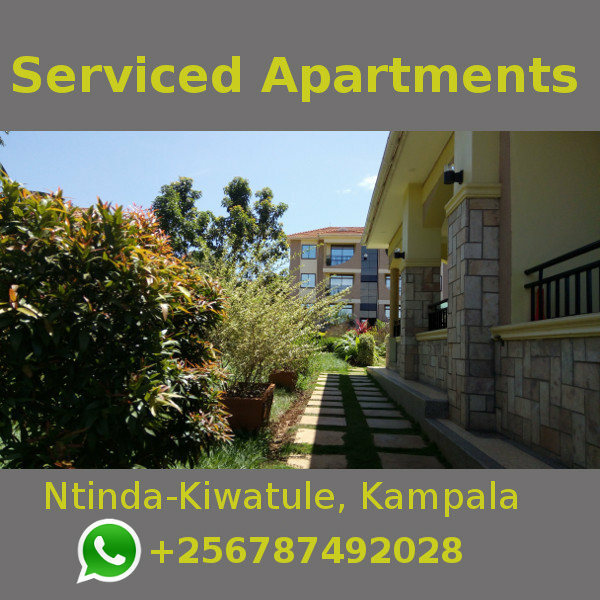 Our attempts to sound out the minister in charge of National Planning, Matia Kasaija, were unsuccessful as he was reportedly in a meeting. We understand that the shadow minister in charge of Presidency and Anti-Corruption, Mpuuga, wants the Auditor General to conduct financial and value-for-money audits in respect of the entire golden jubilee festivities. “Remember it was not only the car that should raise people’s eyebrows, but we also need to understand the other expenses that the government spent on this activity,” he said. Mpuuga, who sits on the Parliament Presidential Affairs committee, added the car was not part of the items budgeted in this financial year. “We considered their budget estimates, but that item was not there. So, we need to know where the money was got to buy this car,” he said.